Library volunteers provide support in the genealogy department of the Johnson County Central Resource Library at 87th and Farley in Overland Park. Most volunteers are members of the Johnson County Genealogical Society. Desk volunteers assist patrons with genealogy questions and help them use the computer programs and databases available for genealogy. They assist them in using the book collection at the library containing books belonging to both the Johnson County Genealogical Society and the Johnson County Library. 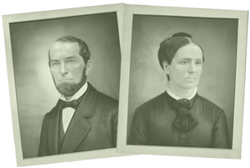 Additional materials available include periodicals on genealogy in general and materials from many other states and localities, local newspapers on microfilm, and early materials on Johnson County. 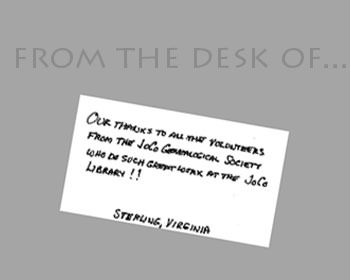 In addition to the desk volunteers, other volunteers help with library projects as needed. 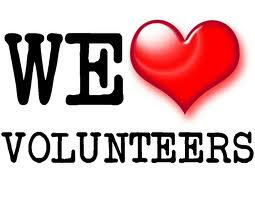 Calls can be made to the library main phone number (913-826-4600) to verify if a volunteer will be available. Volunteers do not do research for people but assist with ideas for research and help in locating material.